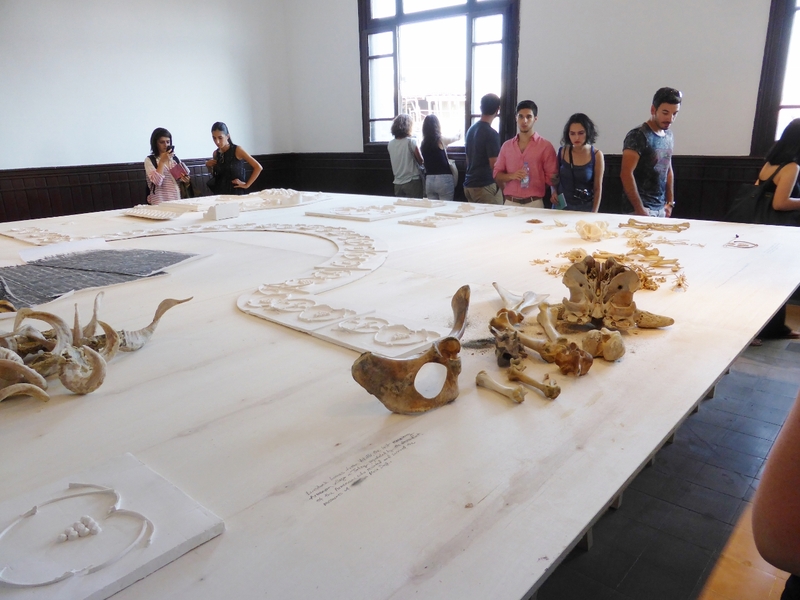 The 14th Istanbul Biennial, titled ‘Saltwater’ was spread across 36 diverse venues in this city of 13 million, a city that, for most of its long history, has remained one of the world’s largest and most cosmopolitan. 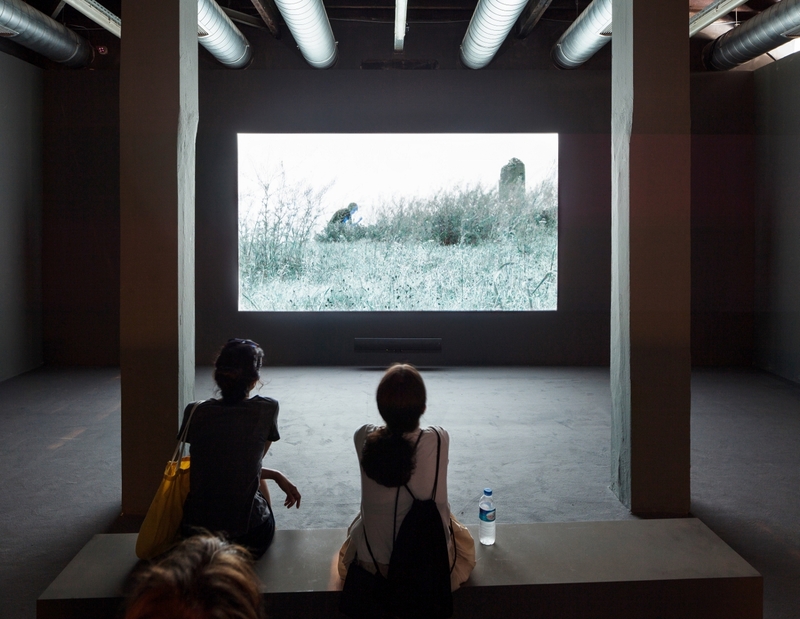 Two of this year’s biennial venues were closely connected to Turkish-Armenian journalist and activist Hrant Dink who was gunned down in Istanbul in January 2007 by a 17-year-old Turkish nationalist. As editor of the bilingual Turkish-Armenian newspaper Agos, Dink was best known for advocating Turkish-Armenian reconciliation and human rights. He was critical of both Turkey’s denial of the Armenian genocide and of the Armenian diaspora’s campaign for its international recognition. Dink was prosecuted three times for ‘denigrating Turkishness’ and received numerous death threats from nationalists. At his funeral, over one hundred thousand Turkish citizens marched in protest of the assassination, carrying placards and chanting, ‘We are all Armenians’; ‘We are all Hrant Dink’. 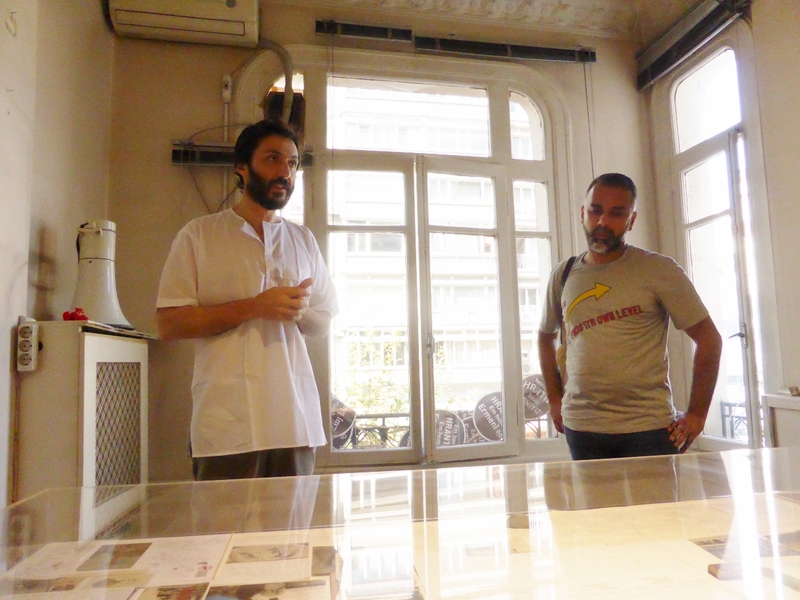 On a main street in the bustling district of Şişli is the apartment building housing the old offices of the Hrant Dink Foundation and Agos. Dink’s death just outside this building is marked by an inscribed stone in the pavement. Two collaborative artists Ayreen Anastas (born in Bethlehem, living in New York) and Rene Gabri (born Tehran, now in New York) had taken up a two-month residency in these offices. As artist-activists, Anastas and Gabri have, over the years, explored issues of politics, language and often, Palestine. A few blocks from this building along busy Halaskargazi Caddesi and you were at the second Dink venue, the newly opened Hrant Dink Foundation where young Vietnamese artist Nguyen Huy An presented ideas about memory and the streets of Hanoi. At other venues around Istanbul several artists, either of Armenian heritage, or exploring ideas about Armenian issues, were easy to find. 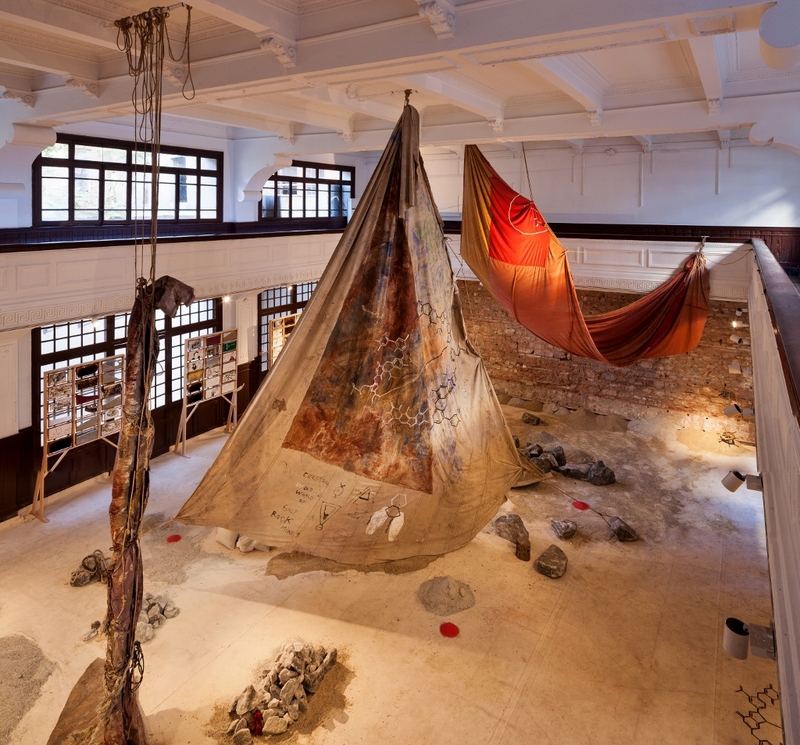 On the ground floor of the neoclassical Galata Greek Primary School in the old European quarter of Beyoğlu, was Anna Boghiguian’s (born Cairo, lives in various countries) large-scale installation The Salt Traders 2015, made of disparate materials including textiles, wax, gouache, salts and sea sounds. On the top floor Michael Rakowitz (lives and works in Chicago) brought together several Armenian ghosts in The Flesh is Yours, The Bones Are Ours 2015, a moving installation combining plaster moulds, casts, dog skeletons from Sivriada (one of the Princes’ Islands where stray dogs from Istanbul were exiled in the early 20th Century) and bones of livestock from dispossessed Armenian farms in Anatolia. A short walk away at DEPO was Francis Alys’s compelling video The Silence of Ani 2015. Alys uses the ruined medieval city of Ani situated on the far eastern border of Turkey and Armenia, a civilisation that collapsed around 700 years ago, to show the fragility of man-made borders and the possibilities of regeneration. He has armed children with whistles that replicate birdcalls, just visible as they dash through the ruins calling to each other. It was a mindful poem to peace over war. The whistles used in the film were on display. 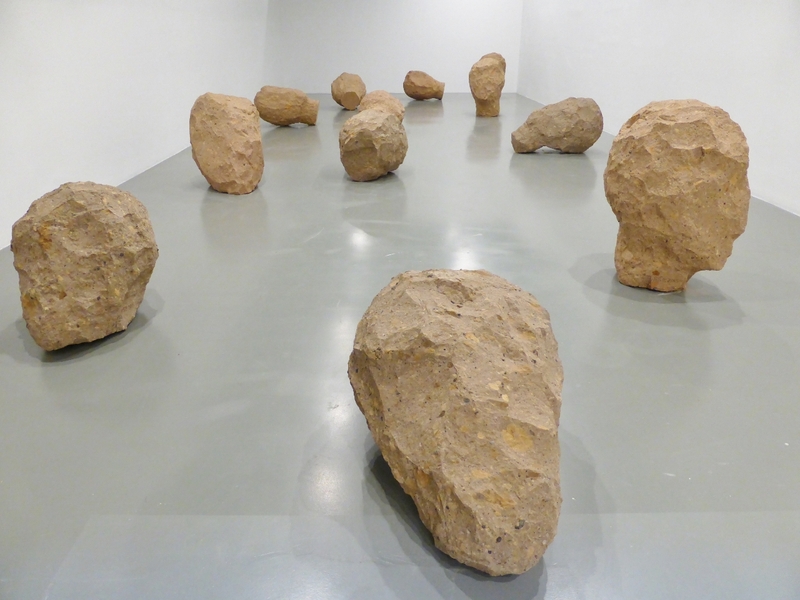 Down by the Bosphorus at Istanbul Modern — the main venue and where you could view the largest segment and heart of this complex exhibition — was Sonia Balassanian’s (born Iran, lives and works in NYC and Armenia) sculpture Silence of Stones 2015. With echoes of Alys’s The Silence of Ani, her 12 large head-shaped forms — mute but full of memory — were carved from tufa stone, from quarries near Ani. 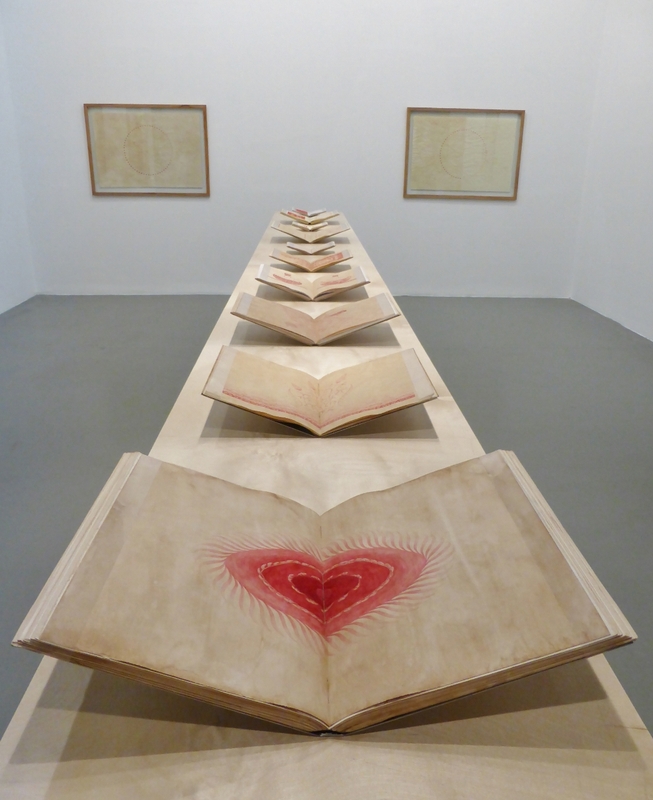 Aslı Çavuşoğlu (from Istanbul) presented delicate drawings, Red/Red 2015, using carmine-red ink made from Armenian cochineal (a scale insect indigenous to the Ararat plain) applied to worn-out papers and notebooks, while Sarkis (born Istanbul, lives in Paris), showed a re-created series of 51 politically motivated photo-collages. Nearby were a series of 14 paintings 1948-91 by Paul Guiragossian (1925-1993, Jerusalem-Beirut); subtle images of enigmatic figures in watercolours and oils gazing back at us from another time. 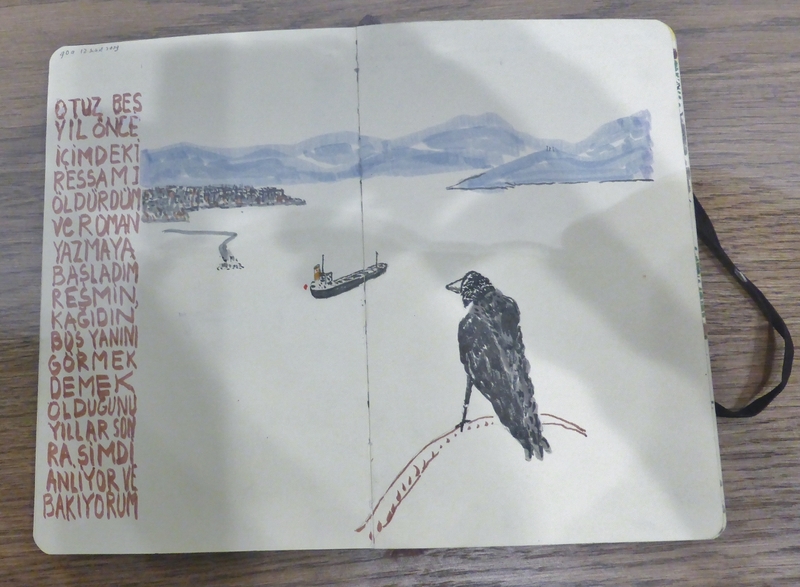 In the same room Turkish author Orhan Pamuk’s Eight Notebooks 2008­–13 were full of gentle hatched marks and brush strokes — of wavy seas, boats and birds, together with fragments of automatic writing. Elsewhere, on the top floor of Pamuk’s potent creation, the Museum of Innocence, you could seek out two Ashille Gorky (1904-1948) drawings: Act of Creation 1947 and Vale of the Armenians 1944. Like Hrant Dink, Pamuk, who has made statements about Armenian issues, was charged with ‘insulting Turkishness’ in early 2006 but this was subsequently dropped; later that year he won the Nobel Prize in Literature. On the centenary of the genocide curator Carolyn Christov-Bakargiev, has done an extraordinary job of subtly integrating artwork from artists with Armenian backgrounds and ideas. At the 2 September press opening, Christov-Bakargiev said it was ‘very timely’ to speak about what happened 100 years ago, as well as the ‘traumas and ethnic cleansing’ that has occurred in other parts of the world throughout history, including Australia, Poland, Germany and Syria. Despite the potential for backlash over the Armenian question, Christov-Bakargiev said she encountered no censorship. Indeed, she sees hope in the transformative power of art: ‘With and through art we mourn, commemorate, denounce and try to heal and commit to the possibility of joy’. You might begin to see from these threads the kind of bold biennial it was — it’s bigger of course in concept, scale, geography and diversity of artists than these focussed notes suggest.